J.H. Findorff & Son Inc.
With a Wisconsin-based history dating back to its founding in 1904, Sentry Insurance now employs over 2,500 people in the Stevens Point area. 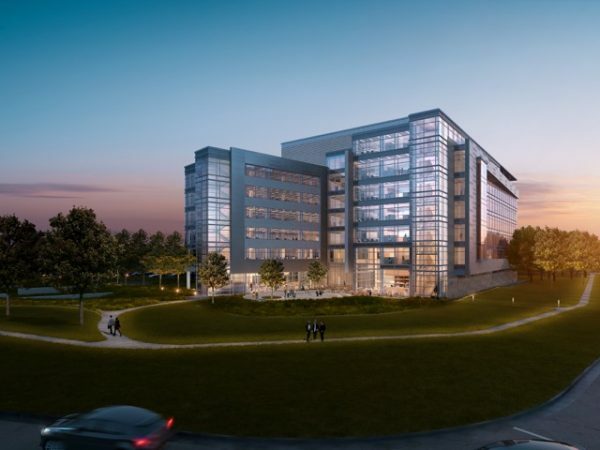 Sentry is now adding a seven-story office complex adjacent to the main campus. With this project, Sentry Insurance will occupy the two largest buildings in Portage County. Working alongside J.H. 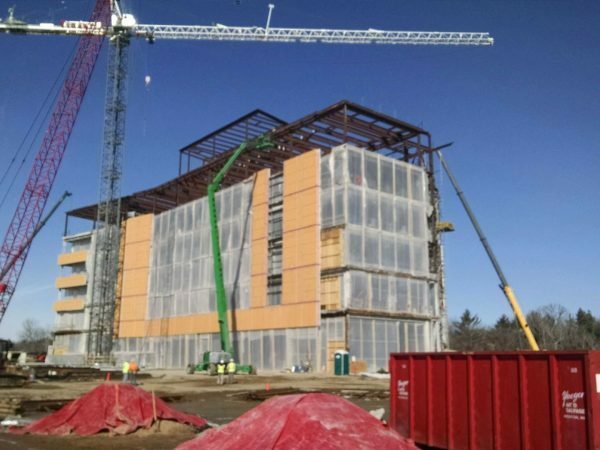 Findorff & Son Inc., as the general contractor, Hooper and GHAC are proud to be making important contributions to a vital new center to serve the current and emerging needs of one of our nation’s leading mutual insurance companies. The building is intended to provide a larger area for insurance writers and will initially house about 500 associates. It will include an on-site cafeteria, fitness and wellness centers, and health services. The complex will also include a four-story parking ramp, terrace and gardens, and indoor/outdoor spaces for associates to take breaks. 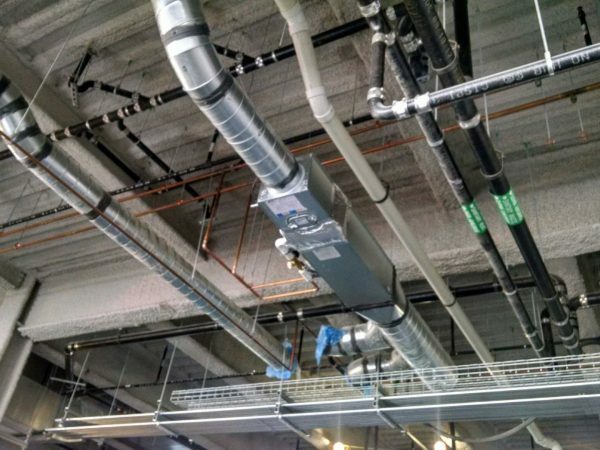 The building had limited mechanical space, so GHAC used a design build process for the complete HVAC system including a chilled water plant, air handling units, and boilers all with N+1 redundancy. Hooper installed all the plumbing including domestic water, sanitary and storm piping.